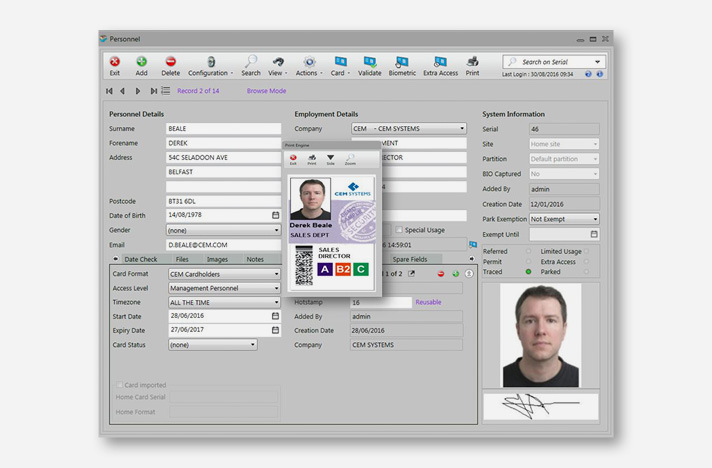 The CEM Visual Imaging Pass Production System (VIPPS) allows users to produce professional permanent and temporary ID badges. VIPPS can also be used to enrol fingerprint biometric templates directly onto the AC2000 access control system for integrated biometric enrollment. AC2000 VIPPS gives the operator a range of video imaging facilities for capturing personnel images, company logos and personnel signatures. 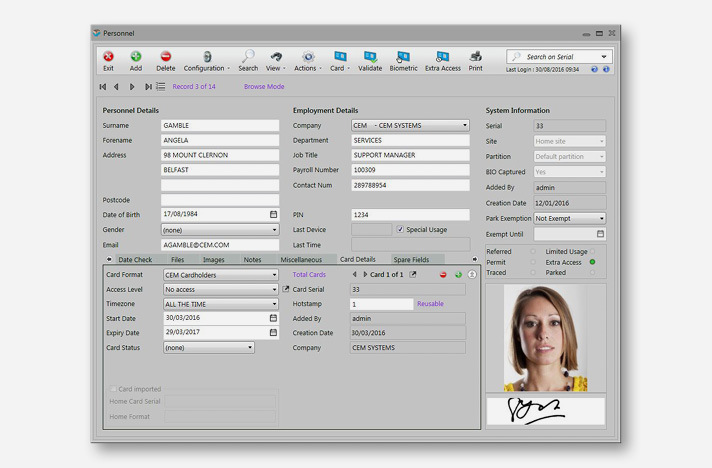 Personnel data is entered directly, or can be transferred from an existing personnel database to provide the information that is printed on the ID card. Personnel data is entered/updated using standard or custom designed data entry programs. Images, logos and signatures are captured from cameras or scanners as required. The image is displayed alongside the personnel data on the screen. This allows the user to approve the badge format before final printing. Different badge layouts can also be used, for example, permanent passes could have a different design and colour to temporary passes. Sophisticated ID badging for staff, contractors, visitors etc.